Over 88 Brass Band reviews! Find recommended Brass Bands and hire with confidence when you read testimonials and event reviews from thousands of previous customers here at Alive Network Entertainment Agency. We hire bands and entertainment for weddings, corporate events, private parties, hotels, venues and events throughout the UK and beyond. 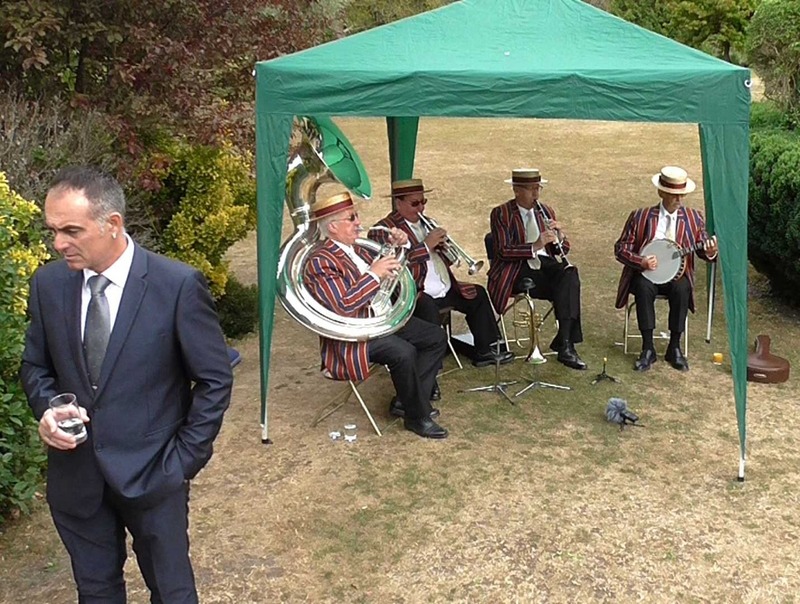 Call 0845 108 5500 for help finding the perfect Brass Band for your event.  "The guys were professional, organised and courteous, and entertained my colleagu..."
"Big and Horny Brass were amazing!" Big and Horny Brass performed at our community event in York and were amazing! Their communication was great and they made the booking process so simple. Their mixture of old and new music struck a note with the different generations in the crowd and got them up and dancing. "Their mixture of old and new music struck a note with the different generations ..."
"Providing high quality, atmospheric funky tunes." Big and Horny Brass are a pleasure to work with. Providing high quality, atmospheric funky tunes. Well versed in working the crowd, as they did with such aplomb at Holmfirth Food and Drink Festival and their gig at The Nook, Holmfirth. Top drawer musicians paired with real ale – brilliant! 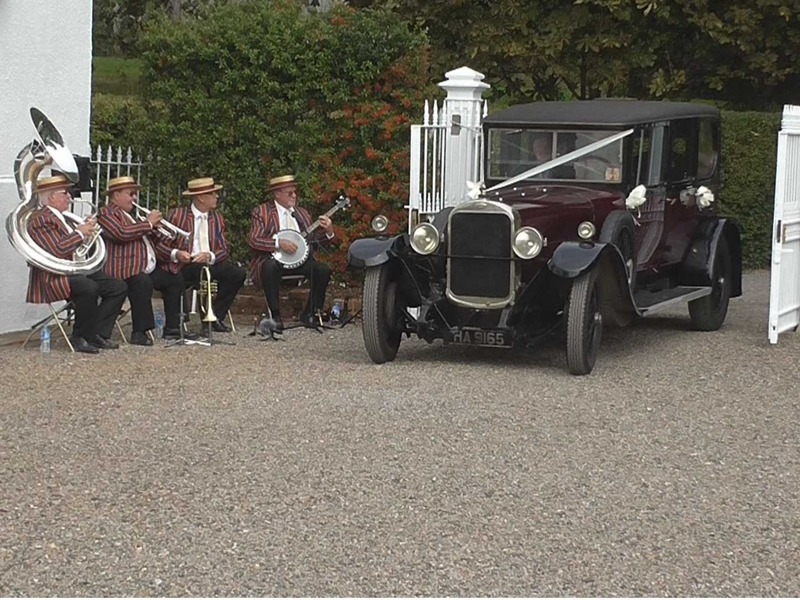 "Big and Horny Brass are a pleasure to work with"
The Burgundy Boater Band played throughout our drinks reception, the music was great with a good selection and helped to create a great atmosphere which had the children dancing along. I would recommend them to a friend ! 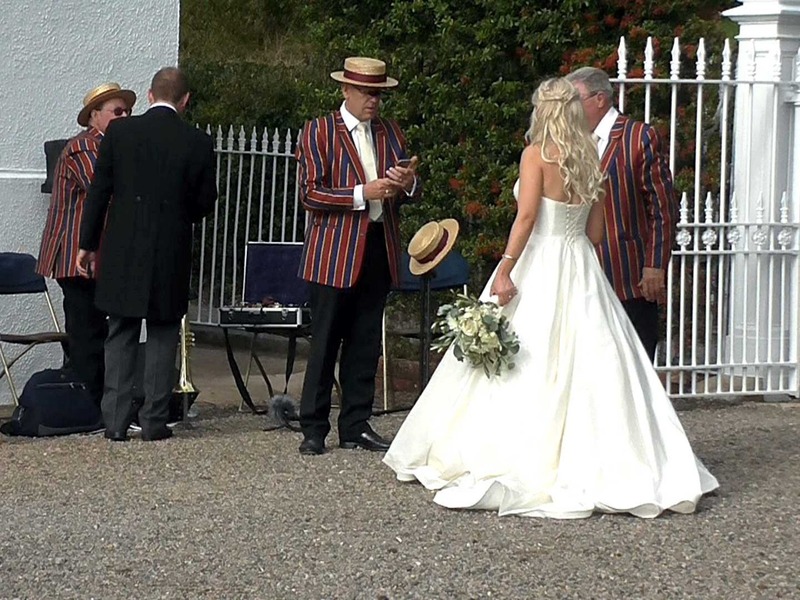 "Amazing guys-our guests will remember them for a long time to come"
The band were super professional, turned up on time and worked flexibly around our setup and with a dj we had booked too. All of our guests commented how good they were and it really made everyone get up and dance! 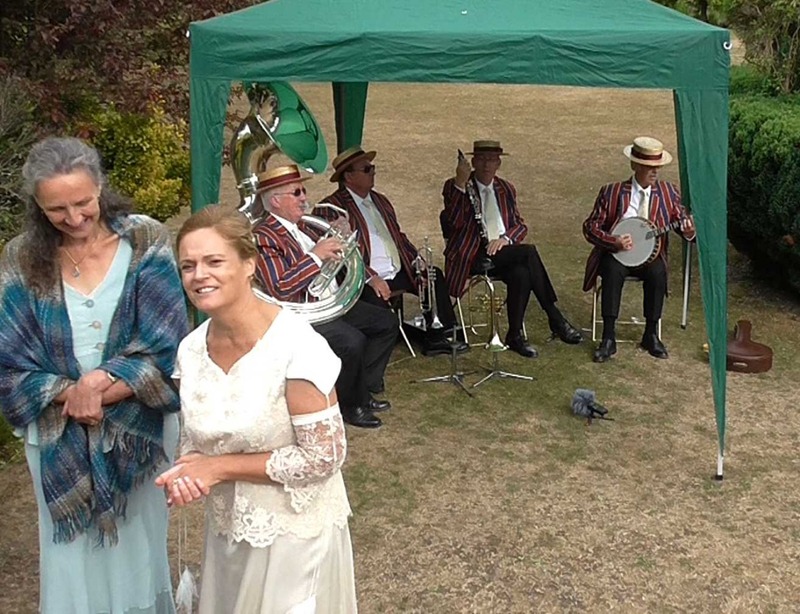 "They really did make our wedding"
Brilliant musicians, a group of nice people that created an awesome lively atmosphere at our wedding. We had so many compliments on the band, from people of all ages. They really did make the evening!